The following new features and changes come with our Microsoft Outlook® integration in November 2016. 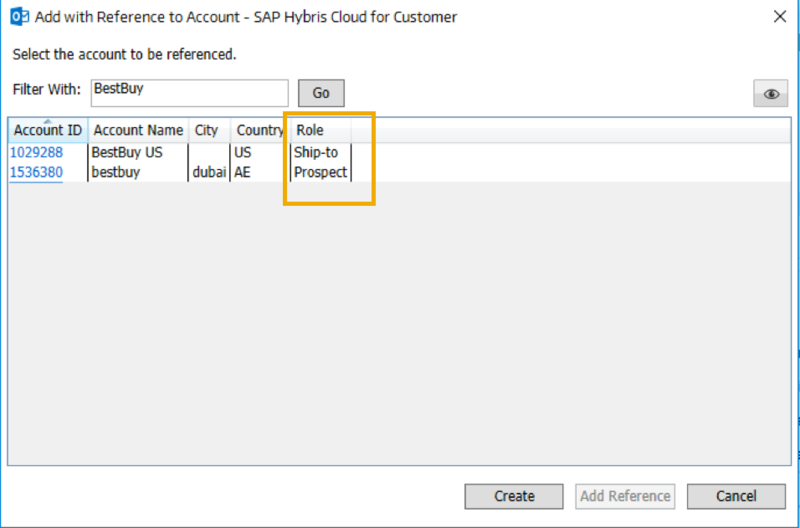 The add-in now supports automatic logon to SAP Hybris Cloud for Customer. When you launch Outlook, if the option is checked, the add-in would proceed to logon automatically if the credentials are stored. Please also note the timelines announced previously for retiring Microsoft Outlook® 2007 support. with 1611, does C4c now support integration with outlook 2016? If not, any plans of supporting this in near future? thanks! Outlook 2016 is supported from 1608.